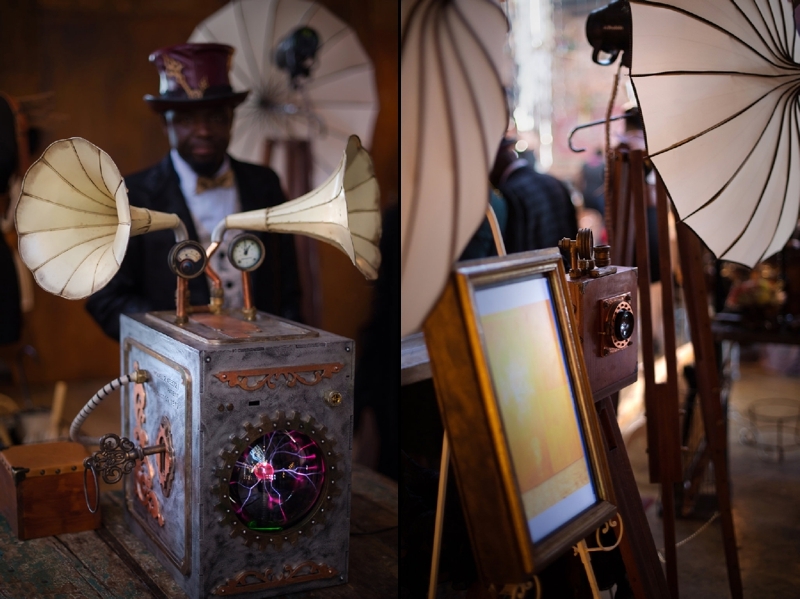 It was a complete metamorphorsis – from head to toe – the day Ninirichi Style Studio brought their unique touch to our extraordinary palace. 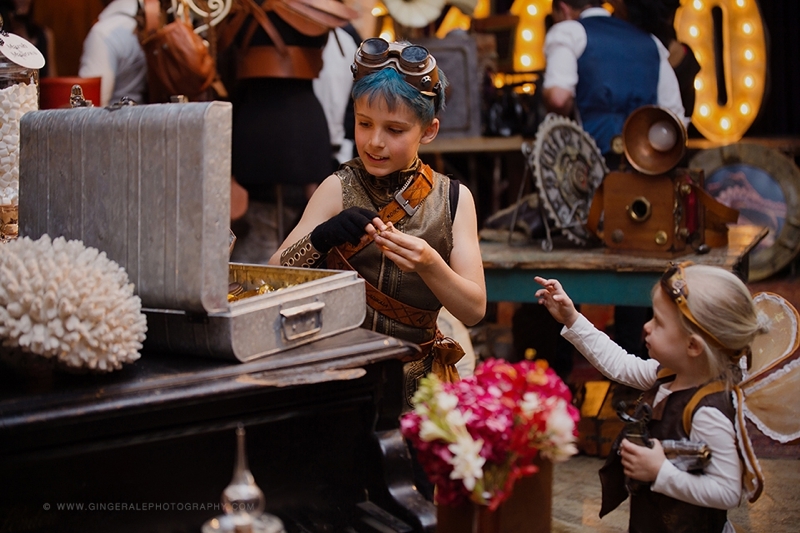 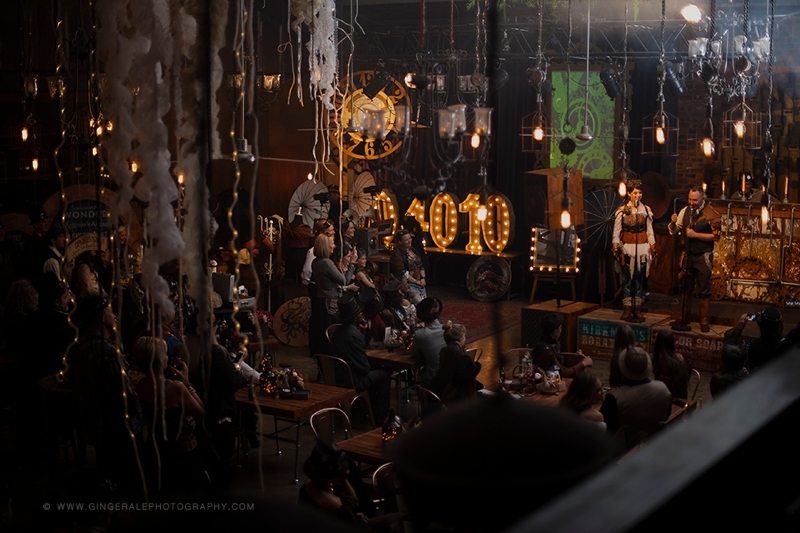 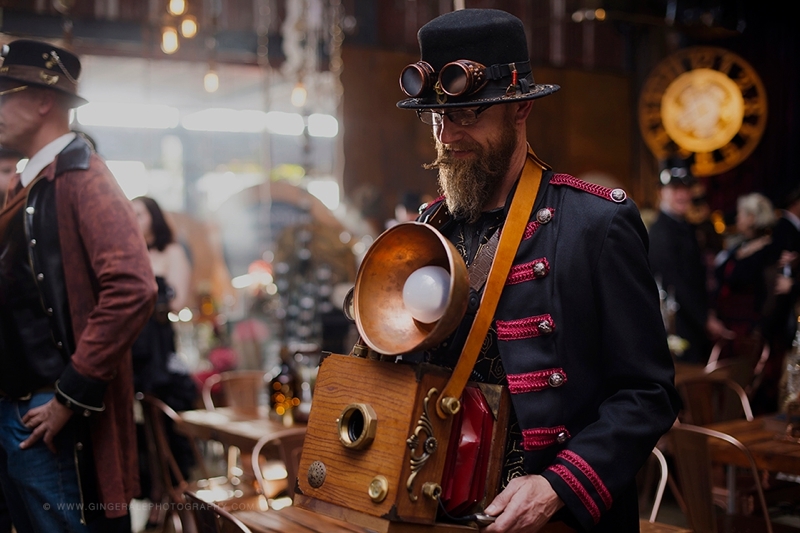 A mesmerizing steampunk party was the result. 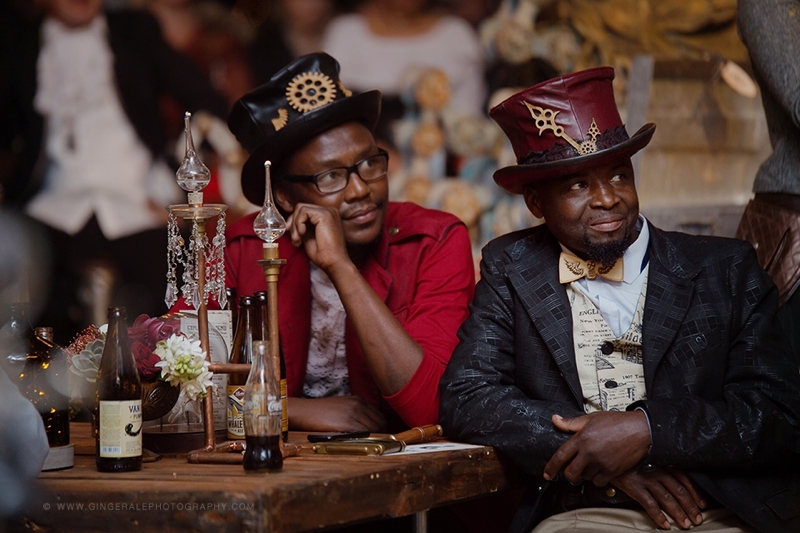 Like a scene out of science fiction, aesthetic details were inspired by industrial steam-powered machinery from the 19th-century, with a nautical twist. 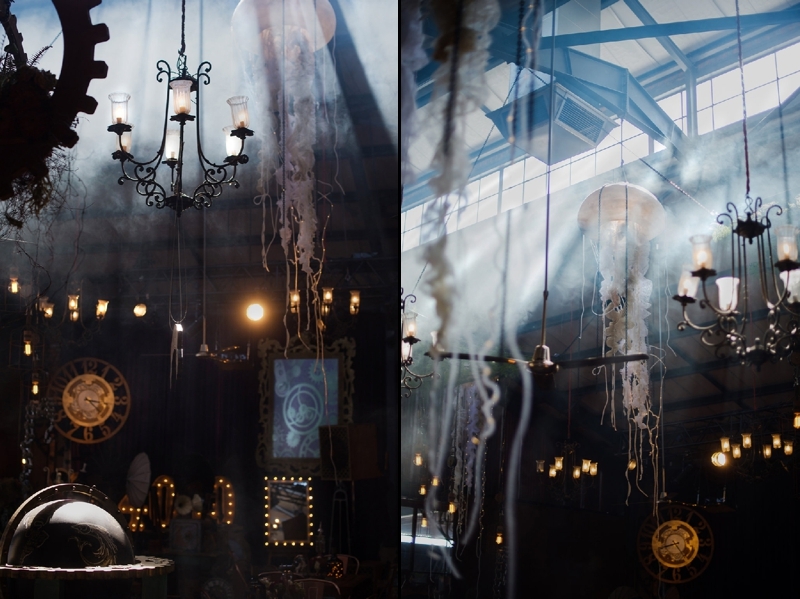 Raw lightbulbs and lanterns led the way up the stairwell, to a palatial world of fantasy hung with glowing jellyfish sculptures and gears with coral reef inspired floral features. 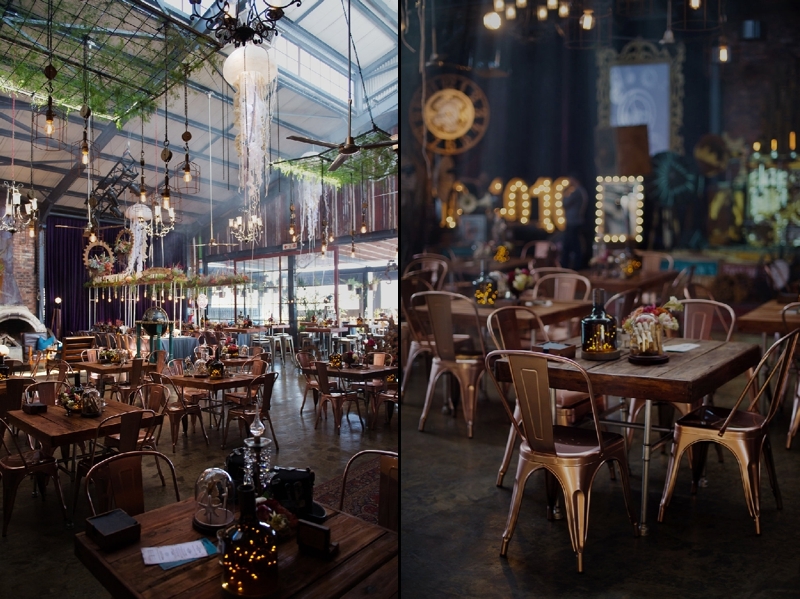 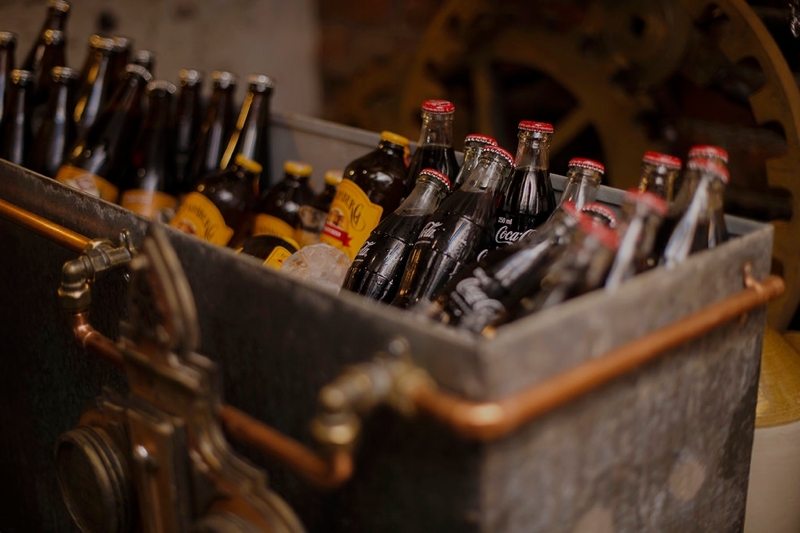 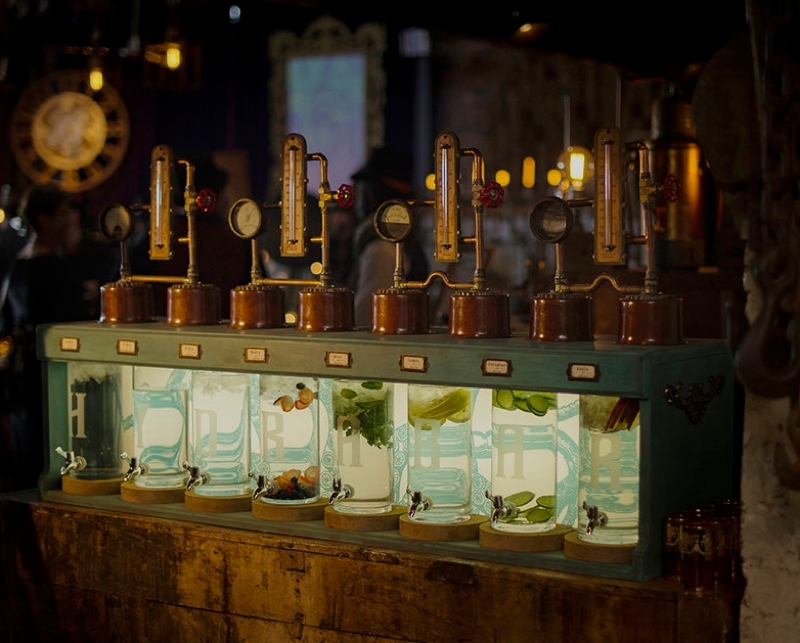 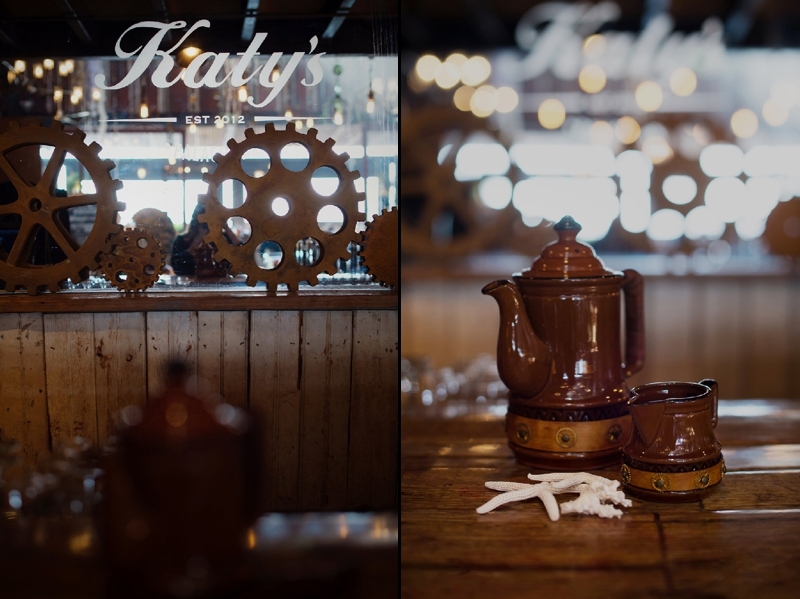 Thirsty guests could choose from a hydra bar with flavoured water in a bespoke steampunk drinks decanter, or a tea station with exotic tea blends displayed in test tubes (complete with signage for steeping instructions and steampunk teapots and urn). 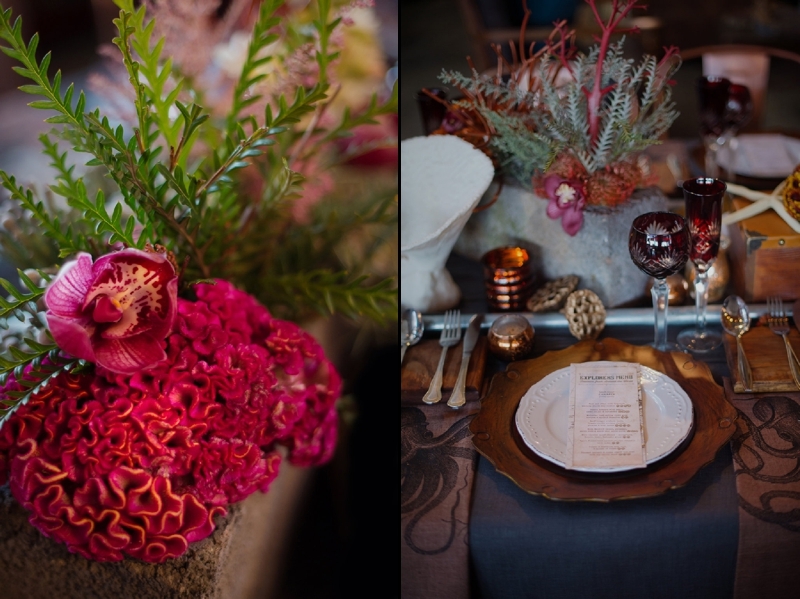 Banquet tables featured Edison bulb table arches with coral reef floral arrangements and copper chairs, while the Katy’s Palace grand piano displayed sweet treats in apothecary jars and trunks, as well as vintage newsprint candy bags and bespoke donut stands in the form of copper pipe pressure gauges. 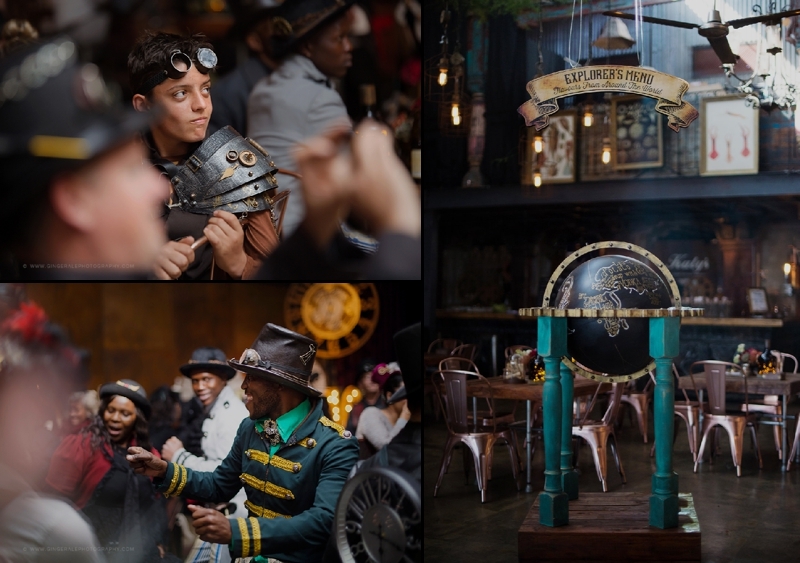 From specially designed waiter uniforms to “did you know” cards with intriguing facts about ocean life, Victorian inventions and curiosities and anecdotal steampunk info – every detail contributed to this otherworldly experience.